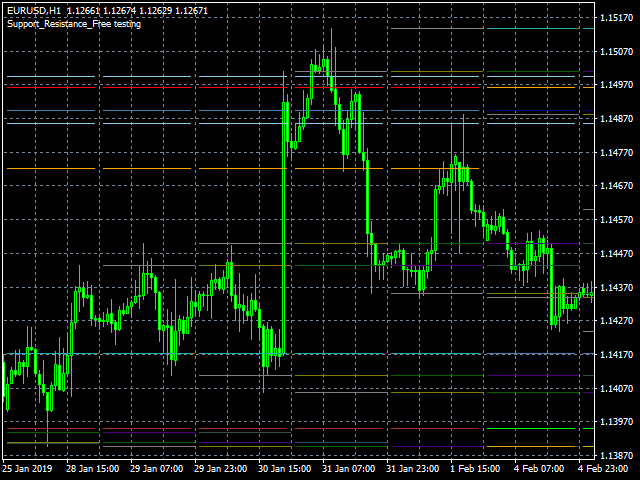 The indicator shows support and resistance levels as horizontal lines. It shows the highs and lows of former days, weeks and month in every chart. 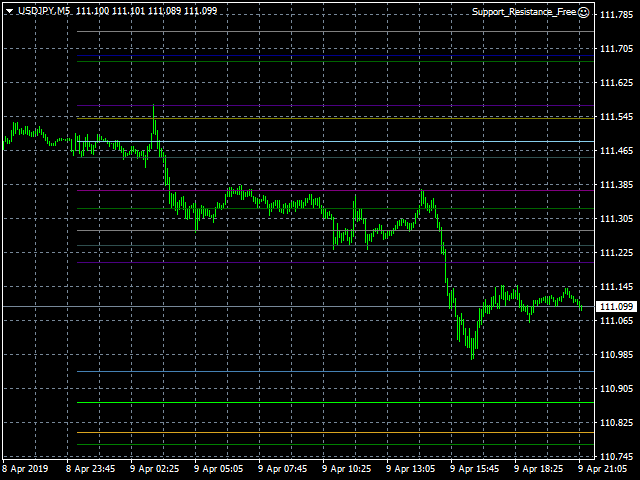 These levels give orientation in trading, they are much noted as one can see in the charts. When the tip of the coursor is on a line (mouseover) it shows the real value of the level and which high or low is shown, see explanation below. The indicator must be installed like an expert advisor! To see levels of former days you have to make a backtest and then open the chart. Note that the indicator shows first wrong levels if the values are not saved already and have be downloaded automaticly. In the second try it shows the correct levels. The colors of the lines can be changed in the settings. Интересный индикатор. Особенно советники , построенные на его основе.